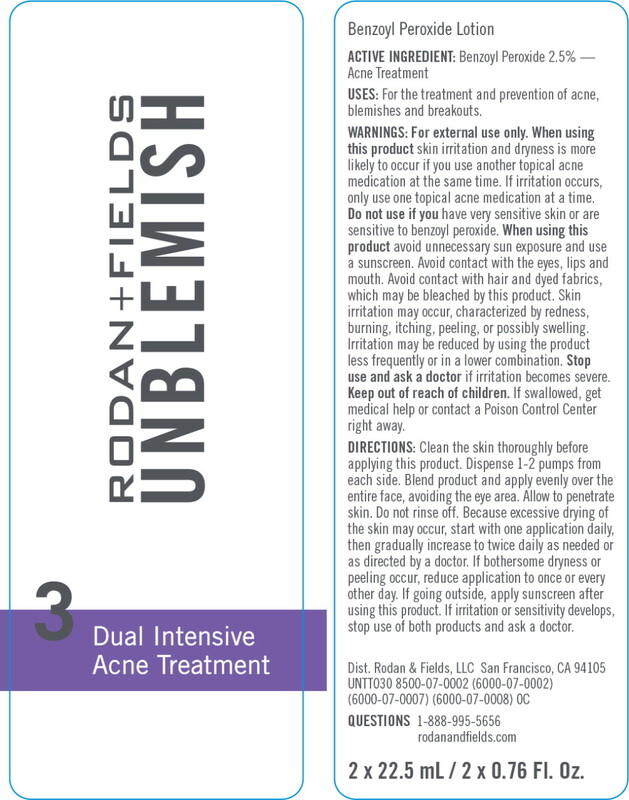 Proprietary Name: Unblemish Dual Intensive Acne Treatment What is the Proprietary Name? 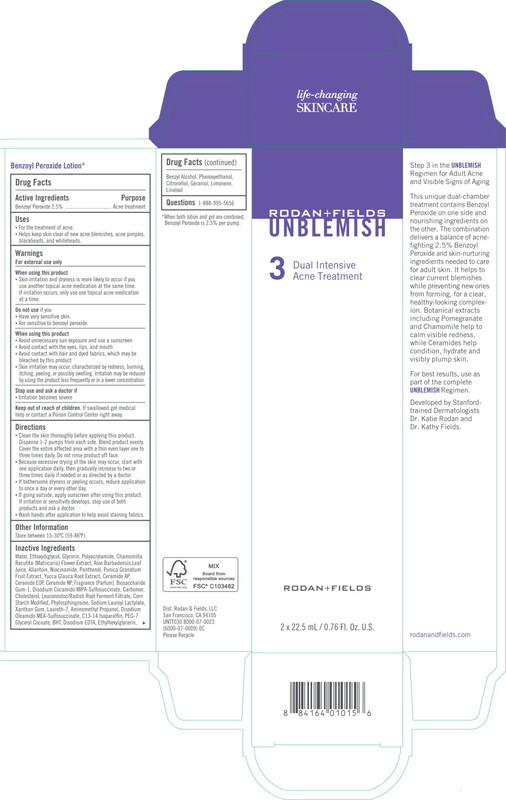 Unblemish Dual Intensive Acne Treatment with NDC 14222-2120 is a a human over the counter drug product labeled by Rodan & Fields. The generic name of Unblemish Dual Intensive Acne Treatment is benzoyl peroxide. The product's dosage form is lotion and is administered via topical form. Helps keep skin clear of new acne blemishes, acne pimples, blackheads, and whiteheads.